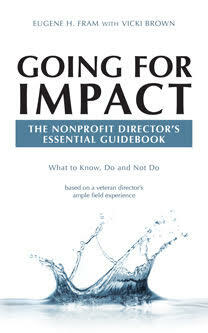 Nonprofit CEOs & Board Directors: How Expert Is Your CFO? When hiring a chief financial officer (CFO), nonprofit organizations often find themselves with a major challenge, since many financial and accounting functions are identical. To compete, the organization may need to offer higher salaries that are somewhat competitive with for-profit organizations. Consequently, some trim the level of expertise required to fill the position. This is a dangerous move, especially if the organization is growing. Also the current CFO, if hired five or ten years ago, may not be up to date and make a major error that will harm the organization’s reputation, leading to a board restructuring and/or firing the CEO. Asking knowledgeable board members if they are receiving financial data and analysis in a format helpful for decision-making. Having an executive session with the external auditors yearly to obtain the firm’s assessment of the expertise of all financial personnel. Making certain all financial personnel take two weeks vacation each year, so that a substitute needs to handle the duties. Having the CEO review the CFO’s expertise annually with knowledgeable board members. ← Attn. Nonprofit Board Recruiters: Marketing & Sales Are Not The Same!